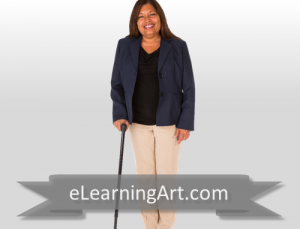 There are very few good resources that have cut out pictures of people with disabilities. 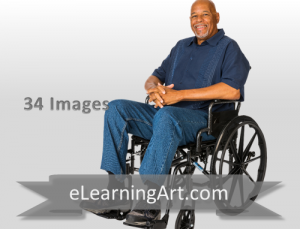 Youll find that we have a great selection of images of people in wheelchairs, using crutches, and holding canes. Each of these sets includes multiple poses and angles. Plus, these models are photographed with other complete able-bodied sets. 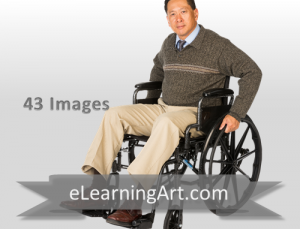 You can use the disability images zoomed out to establish the character, then zoom in on images from the complimentary able-body sets for any missing poses.